Wine and food pairing is actually very straightforward: delicately flavoured dishes with light wine, robust food with heavy wine. The one grape variety that has a wide flavour profile is Riesling. Depending on the harvest time, Riesling flavours starts from delicate citrus and floral, moving on to ripe pear and peach. Rich Riesling has pronounced stone fruits and melon. 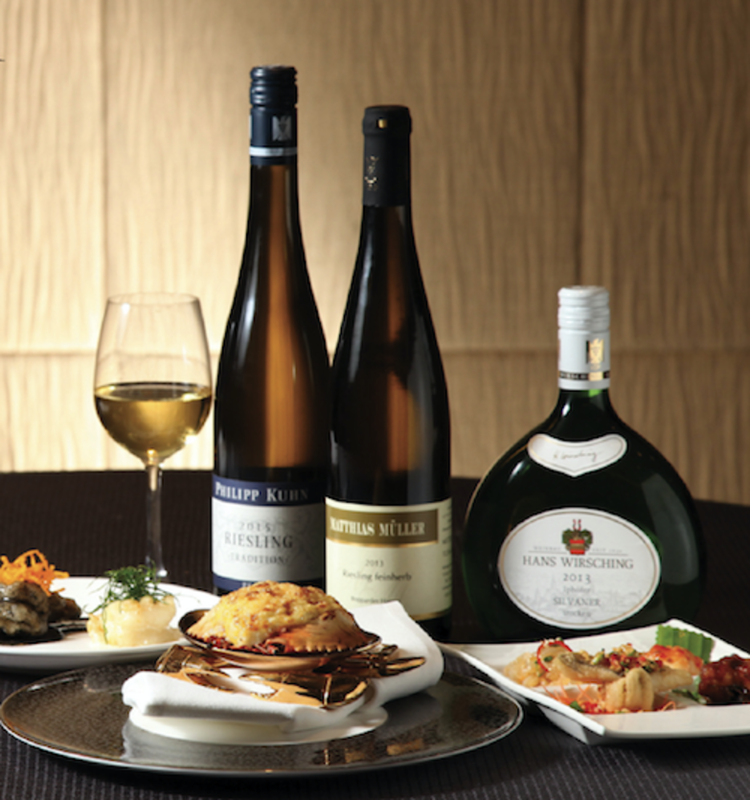 Lighter-style Riesling is perfect with fresh seafood such as sashimi and steamed prawns while intense Riesling is a great companion to robust or spicy dishes such as kung pao chicken, Peking duck or even a juicy steak. The bonuses of Riesling are its fresh acidity that cuts through fat and helps digestion. 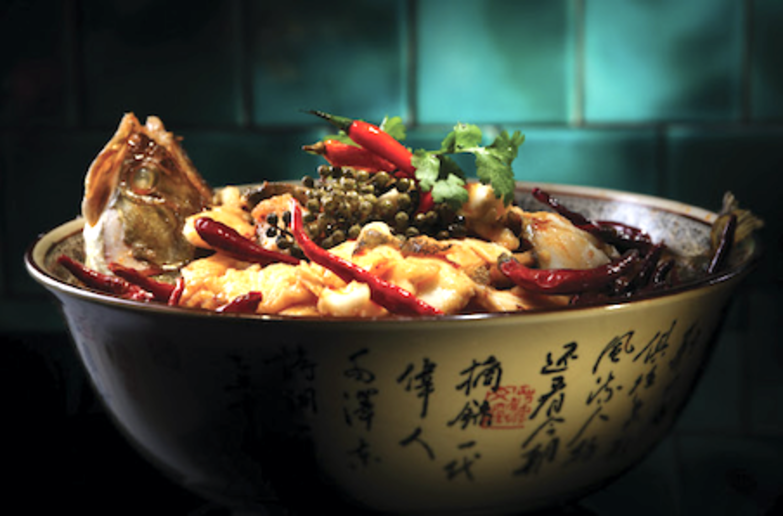 Its relatively low alcohol conetent, usually between 8.5–12% and rarely over 13%, also helps to lighten a heavy meal. If you have a big dinner with wine of 14–15% alcohol, you’ll probably feel tired after or even in the middle of the meal! 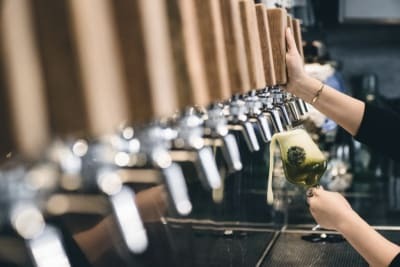 Moreover, the fruity aromas of Riesling go especially well with Asian dishes, which are often cooked with fresh or dried fruits, sweet spices and herbs. 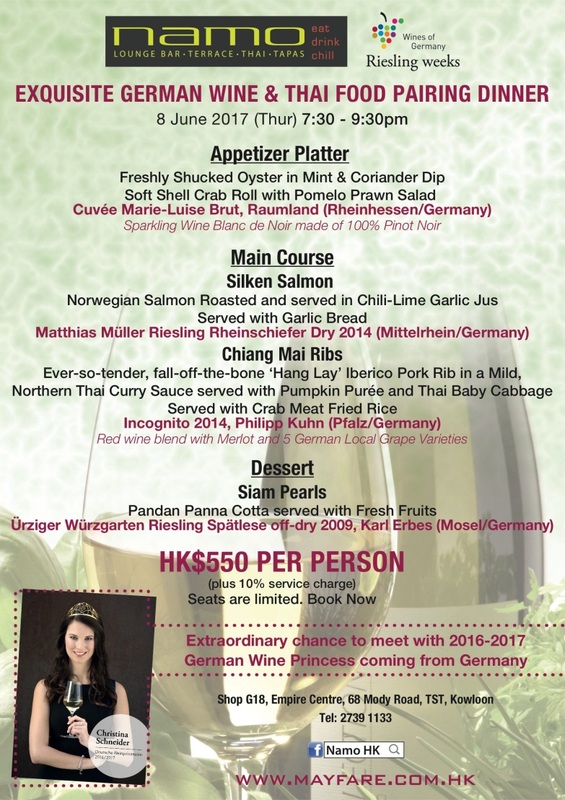 Over 30 restaurants, including Bungalow, Chilli Fargara, Hoi King Heen, Renaissance Hong Kong Harbour View Hotel, Regal Airport Hotel and MGM Macau, are celebrating Riesling Weeks in June by pairing different Rieslings with their signature dishes. 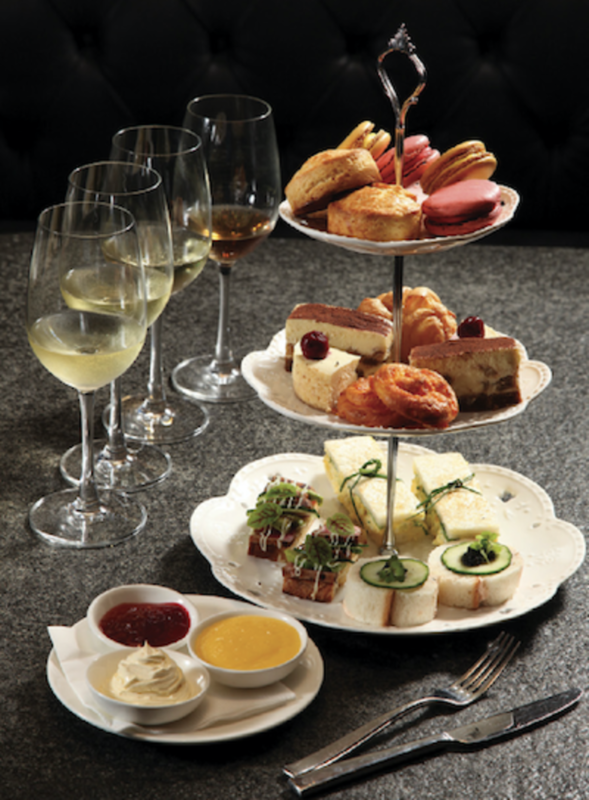 You can sample one restaurant every week in June to discover this versatile wine and indulge in the wonderful sensation of Riesling and its best friends. 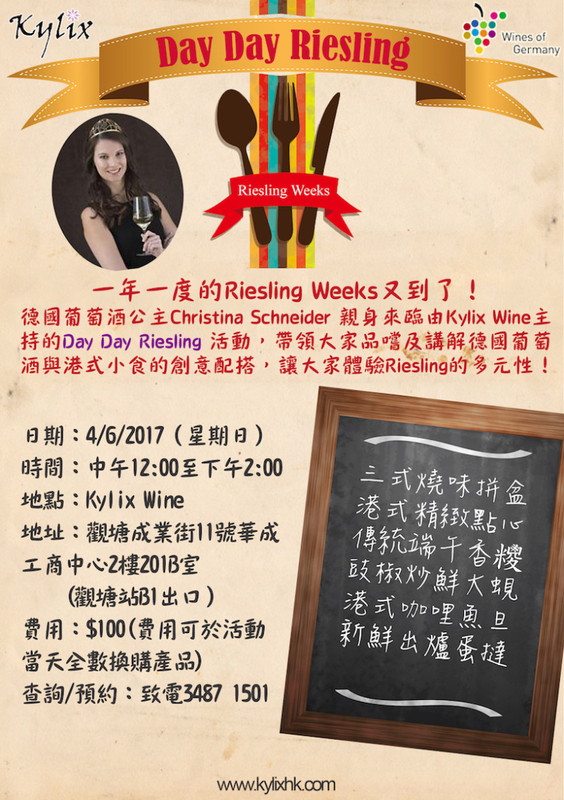 From now until 10 June 2017, German Wine Princess Christina Schnedier will be in town to conduct a Riesling discovery journey with partner outlets. Join her at Namo Avant Thai Restaurant, Bungalow, Hoi King Heen and Kylix. Check out our website for the full list of partner outlets and Christina’s activities in town.